Another proud patriot, and a good Navy man, has embarked on his last voyage! 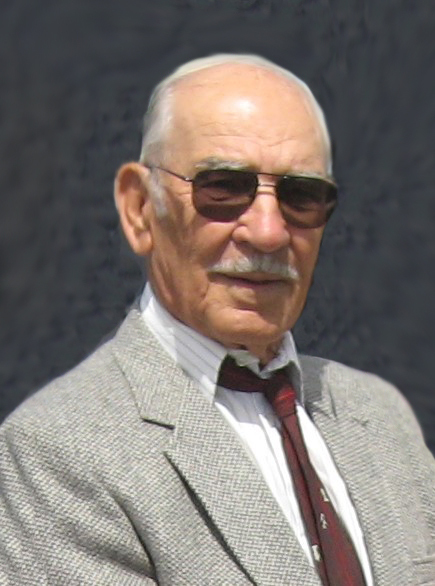 Peter "Pete" Emanuel Tischmak, a Redmond, Oregon, resident for over 60 years, died March 14, 2019, at Yuma, Arizona. He was 94 years old. A closed casket funeral service will be held at Weigel Funeral Home, Mandan, North Dakota, at 11 a.m. on Thursday, March 21, 2019. www.weigelfuneral.com. Burial will be held at the North Dakota Veterans Cemetery south of Mandan, on Thursday, March 21, 2019, at noon. Military rites will be conducted by U.S. Navy. Pete was born October 13, 1924, at rural Shields, Grant County, North Dakota, and was baptized October 26, 1924, at St. Gabriel Catholic Church, rural Shields. His baptism sponsors were Daniel Dirk and Helena Bachmeier. He was a member of the Roman Catholic faith. His parents, Emanuel and Margaret (Harsche) Tischmak, were born in Krasna, Akkerman, Bessarabia, Russia. Emanuel immigrated to North Dakota in 1908, Margaret, with her parents, in 1909. Pete attended grades 1-8 at a country school near Shields. His high school attendance at Shields High School lasted three days. As he once said, “School and me didn’t get along very well. They made me sit all day!” He worked on his parent’s farm until his late teens, when he began work in road construction. He was involved in this occupation all of his working years. He worked in various places, first in North Dakota, then in Minnesota, then in Greenland, and finally in Oregon. From 1971 until his retirement, he was self-employed in road construction during his working years in Oregon. Pete enlisted in the US Navy in January 1944, at Fort Snelling, Minnesota. He attended boot camp at Camp Farragut, Idaho. After training, he was stationed at Long Beach and San Pedro, California. From there he transferred to sea duty at the Philippines. He was a seaman on one of the ships which took part in the invasions of Iwo Jima and Okinawa. Near the end of World War II, this ship ferried wounded military men from South Korea. His discharge took place at Fort Snelling on May 15, 1946, after the de-commissioning of the ship APA121 SS Hocking. In succeeding years, he faithfully attended many military reunions of Navy personnel. On September 19, 1949, he and Angeline "Angie" M. Pfau married at Fallon, North Dakota. She died April 1, 1971, at Redmond, Oregon. He married Mildred Templeton in 1971 at Spokane, Washington. This married ended in divorce in 1977 in Oregon. A favorite past-time of his was making and sharing his special and unique German sausage, a recipe which he developed from a recipe he received from his brother-in-law, Joe Becker. Most of his extended family looked forward to his sharing of this traditional German Russian food. Several of his nephews use the recipe today, in large part as a tribute to him. Family history was one of his intense interests. He took a trip to Krasna (now Krasnoe, Ukraine) to walk the streets on which his parents and ancestors trod and to visit the cemetery in which his grandparent, great-grandparents and great-great-grandparents are buried. On his return, he spread soil from Krasna, which he had brought back to North Dakota with him, onto his parents’ graves. As he did so, he said to them, “Pa and Ma, you often said you wanted to go back to where your cradles rocked, yet never had the chance. I’ve brought some of your “heim” to you.” His paternal ethnicity is Polish, as seen in the original spelling of his paternal surname, Tschischmak, and German, as seen in his mother's maiden name, Harsche. He was the major financial sponsor and supporter of the publication "Krasna, the Wellspring/die Quelle - Tschischmak/Harsche/Bachmeier Family Chronicles/Familienchroniken" in his support of his second love, genealogy. He enjoyed watching sporting events on television. He was a carpenter, of sorts! If a job called for a three-penny nail, you could be certain he would use an eight-penny nail; if it called for a 1 x 2, he would use a 2 x 4. "Gotta make sure it holds for a long time!" He called himself a “farm carpenter.” All who knew and loved him treasured his sense of humor and his joke telling. He was very good at “Maistub” (visiting). It was hard for him to stay serious very long. A smile was part of his personality. His generosity was immeasurable. He took great interest in his nieces and nephews lives and often called them to stay in touch and to support them in their lives. Every family has a favorite uncle. Uncle Pete was this family’s favorite uncle. Angie and he had four children: Peter Tischmak, stillborn May 12, 1951, at Hazen, North Dakota; Marie "Mary" Tischmak, born March 31, 1954, at Bismarck, North Dakota, and died at age two hours on March 31, 1954, at Bismarck; Robert Tischmak, stillborn about 1956 at Redmond, Oregon; Gerald Peter Tischmak, stillborn about 1960 at Redmond, Oregon. Angie and Pete adopted Victoria Mae Kemmisat at Shakopee, Minnesota, when she was an infant. She was born at Richardton, North Dakota. Survivors include his close friend and companion for many years, Nancy Pellham, Redmond, Oregon; adopted daughter, Victoria (Kemmisat) Stigall (William “Bill”) Durdin, Oceanside, California, for whom his love is undying; sisters, Aemilia "Emily" Doty Rosenbaum, McMinnville, Oregon; Crescentia "Grace" Tate, Redmond, Oregon; sister-in-law, Odelia "Tillie" (Frank) Tischmak, Mandan, North Dakota; and numerous nieces and nephews. He was preceded in death by first wife, Angeline "Angie" (Pfau) Tischmak; his second wife, Mildred (Templeton) Tischmak; his parents; his sisters, Marianna "Susie" Susanna (Joseph, deceased) Blotsky, Franziska "Frances" (Aemilanus "Emil" Joseph, deceased) Miller, Julianna "Julia" (Joe, deceased) Becker, Lydia (Valentine, deceased) Jochim; brothers, Michael (Leocatia "Lagata" nee Riehl, deceased) Tischmak, and Fidelis Tischmak; brother-in-law, Neil Smith Rosenbaum; a former brother-in-law, George Doty, Jr., and brother-in-law, Claude Walter Tate. Pallbearers will be nephews, Ted Miller, Allan Tischmak, Marvin Tischmak, Tim Tischmak, Jim Bachmeier and Ted J. Becker. We die twice: when we breathe our last and when the last person who has memories of us breathes his/her last. Throughout his later years, Pete was often heard to say, "There is a sign on God's desk. It reads: Don't call me, I'll call you!" Pete got his phone call the other day and answered it with faith, trust and joy. His ship now sails on calm waters to new and wonderful shores. “Red sky at night, sailor’s delight!” Fair winds and following seas, Uncle Pete! Please go to Pete's Tribute Wall to share memories with his family and sign the guestbook.